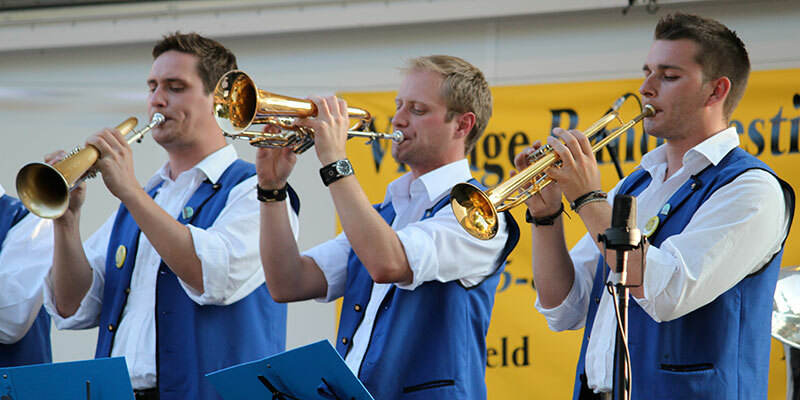 The Vintage Band Festival is just two weeks away. The four-day festival of brass band music, bringing musicians, and attracting audiences, from around to the world to Northfield, will soon be here. August 1st through 4th, there will be 30 bands providing 100 concerts in and around Northfield, MN, featuring a variety of genres, heritage influences, and period-style performances. There will be a full schedule of musical performances each day, with the first performance of the day scheduled for late morning or early afternoon, and the final performance scheduled for no later than 8:00 p.m. The performances will be held in a variety of public places in Northfield, including the Public Library, Bridge Square, a number of City Parks…and, this being Northfield, in a Church and a Pub. The complete festival schedule is on the Vintage Band Festival website. The Vintage Band Festival Headquarters will be opening at By All Means Graphics, 17 Bridge Square, on July 29th at 8:00 a.m. Stop in and say “hello” and pick up Festival information. Until then, check out their website at vintagebandfestival.org.